To add great value and give your fans a different way of interacting with you, every now and then offer live chat sessions, teleseminars and webinars. Mari Smith and her friend Chris Treadaway conducted what they called a “flash chat” as a way of crowdsourcing content for a book. They used the webinar platform Linqto which enabled people to interact with them as the presenters used a webcam to take turns being on the floor. Participant interaction took place via chat. If you don’t have that type of technical know how you can keep it simple by doing a simple Q&A session on the wall of your Facebook Page. The best way to build your personal brand is to involve other people in the process. Do your best to help others and give others credit for the awesome work they do. Though it may seem like a lot of work, in the long run it pays off. Easy ways to help other people include tweeting their work and leaving great comments on their blogs. Don’t just target your help toward top name people; they get a lot of love and attention. You’ll really stand out if you help out those who have great potential but are not yet well known. Remember, social media marketing is… social. Heading right into marketing without investing the proper amount of time in the social part of social media marketing is detrimental. There are certain expectations within social media, with one of the major expectations being community. “Very often these expectations do not include having marketing messages jammed down their throats,” writes Hollis Thomases in Twitter Marketing: An Hour a Day. Brian Solis, in Engage: The Complete Guide to Building, Cultivating and Measuring Success in the Social Web writes, “… my best advice to you is to go figure out what your opportunity is first.” He suggests using the tool Research.ly to learn more about your prospects. It’s a natural tendency to go online for information and even for friendship and networking. While the Internet is a great place for these things, nothing replaces time spent face-to-face with other people. Steve Garfield, writes in Get Seen: Online Video Secrets to Building Your Business about the importance of mingling with others in a setting where everyone is welcome. Find the experts in your industry and the offer to interview them about their newest product. Ask them a lot of questions that you know your audience will want to know the answers to. According to Michael Stelzner, the founder of Social Media Examiner, this is a great way to not only build a solid relationship with the expert, but to also provide content of tremendous value to your audience. The negative spin on the title created shock value and contributed to it being a great success. Brought to you by Amy Porterfield http://simplesocialmediaformula.com. More articles by Amy Porterfield. 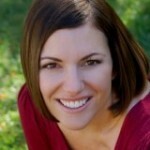 Amy Porterfield is co-author of the book Facebook Marketing All-In-One for Dummies. She’s been in the marketing arena for over 11 years and has spent 6 years working alongside Anthony Robbins, for whom she managed the content marketing team as well as executed major online marketing campaigns. She currently consults and coaches entrepreneurs and small business owners on social media strategy. Learn: * Why what you’re doing now may be costing you profits and valuable relationships in your biz. * The 3 reasons for your “lackluster social media results.” * How to identify social media time wasters * And much more. Follow the link to get FREE immediate access to a class from the last summit called “Facebook News Feed Optimization: How to Dramatically Increase Your Visibility and Engagement” taught by Mari Smith (a $59 value).